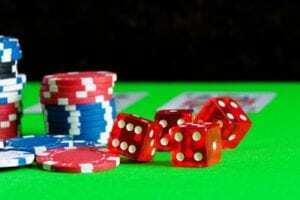 Why casino games contribute differently towards wagering requirements ? 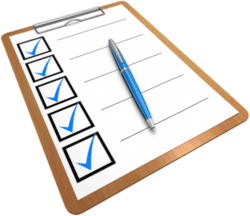 Different game contribution towards wagering requirement – why is it such a mess? What can be more irritating than carrying out a first deposit on an online casino in order to receive the coveted welcome bonus and realizing after placing a significant number of bets that the wagering requirement has not budged! All those bets for nothing, how frustrating! This is due to the fact that bets are not all equal when it comes to the wagering requirement, or to be more exact, that all games do not contribute in the same way towards the wagering. On some games, your bet will contribute 100% towards the wagering requirement, whilst with other games the contribution of your bet will only be of 50%, or even 25%! 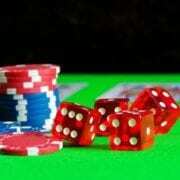 On some casinos, there even exists some games which do not contribute to the wagering requirement at all (0%)! In other words, no matter how much you play those games, the wagering requirement of your bonus will not change. Why are casinos confusing us so much with different game contributions towards the wagering? First and foremost, let us talk about the different contribution towards wagering of Progressive Jackpot Slots. A serious casino must offer its players as much attractive jackpots as possible, however you must know that these games are not the most profitable for the casino, since on top of the royalties it must pay to the slot provider, the casino must also pay the “progressive share”. This is an amount which is usually at the rate of 5-7% of the total sum of the bets made on the game which will be used to fill the jackpot of this game. Let us imagine for example that players have bet £1 million on a progressive slot, the sum of the progressive share which the casino will have to pay will be among £50 000 and £70 000. Know that for some progressive jackpots, the progressive share can be as high as 10%, if not even more than that! You will therefore have understood that for economic reasons the casinos lower the contribution of bets on progressive jackpots towards wagering in order to prompt you to play on other games and for you not to use the bonuses you have been awarded on those games which cost them a pile of money! Let us now turn to those games which do not usually count for the cumulation of bets of the wagering like the roulette for example. 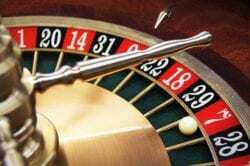 As a matter of fact, by betting on the red or the black at roulette, the player’s chances of obtaining winnings are of around 47% (a bit less than 50% since there is the 0 which is neither red or black but green). With this type of games, it is therefore very easy to complete the wagering requirement and to withdraw the bonus you have been awarded by the casino. But more than that even, imagine that a player bets both on the red and the black, he has close to 95% of chances to move forward and not lose, meaning the wagering requirement would easily be completed with few chances of losing for the player. Note that the Rank online casino Grosvenor offers a welcome package including Casino games and live games ! You now understand why bets on games which offer the player the chance of completing the wagering requirement without losses contribute 0% towards wagering. Now let us take a closer look at the case of some slot machines which are also excluded from the cumulation of bets for the wagering requirement. On the most part of online casinos, the Netent slot machine Blood Sucker is for example banned from the cumulation of bets. Do you know why? Considering the RTP or Payout if this game, the reasons are quite clear. The percentage of stakes returned to players on this game is of 98%, meaning that with a sizable bankroll, the player can theoretically spend hours placing bets on this game without winning nor losing. This is why these casino or slot games which display a high RTP are generally excluded from contributions towards the wagering requirement, or at least sharply reduced to a contribution of 25% up to a maximum of 50%. You now understand why games contribute differently towards fulfilling the wagering requirement in 100% of online casinos! https://casino-or-slot.com/wp-content/uploads/2019/01/wagering-requirement.jpg 266 400 julie https://casino-or-slot.com/wp-content/uploads/2018/07/Logo-Transparent.png julie2019-01-02 22:18:132019-04-07 15:31:35Different game contribution towards wagering requirement – why is it such a mess?